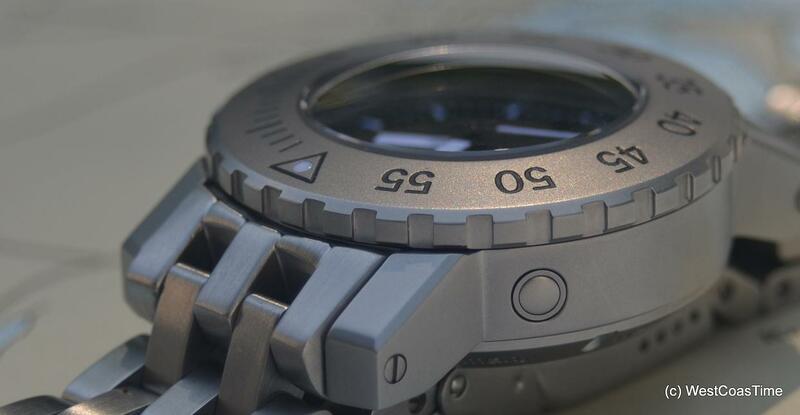 Just been informed of a new version of the WCT 1000m Diver from Westcoastime (which I have previously reviewed). The ‘new’ in this case (literally) is a thorough beadblasting of the case. The bracelet remains brushed but I think that the new finish suits the watch head better – and it would look great on a NATO or Zulu. There’s a bit of a sale on over at Westcoastime at the moment so I think the watch is worth a look. Be advised that this is a BIG watch; built extremely well over in Germany and representing somewhat of a saving over the similar (identical?) Kobold iteration. Tagged WCT1000, Westcoastime. Bookmark the permalink.